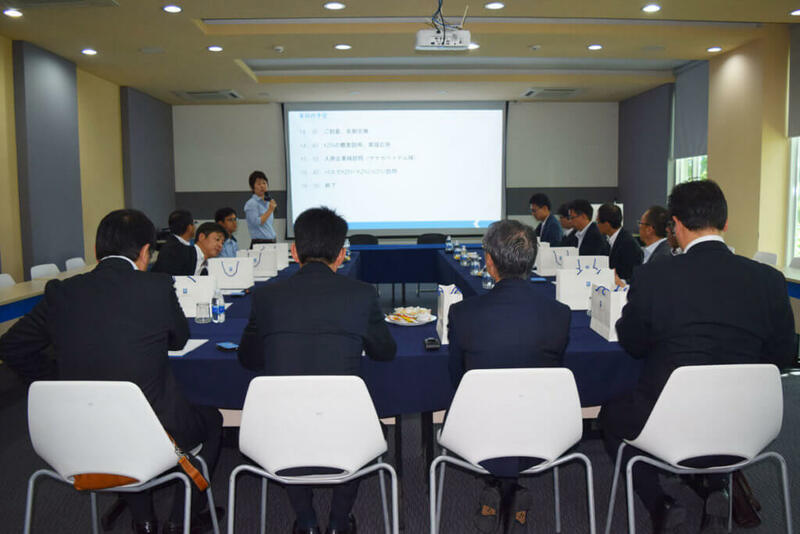 Kizuna JV Corporation welcomed 12 shinkin bank staffs from Chita Shinkin Bank (Head Office: Aichi Prefecture) on 9th November, 2018. 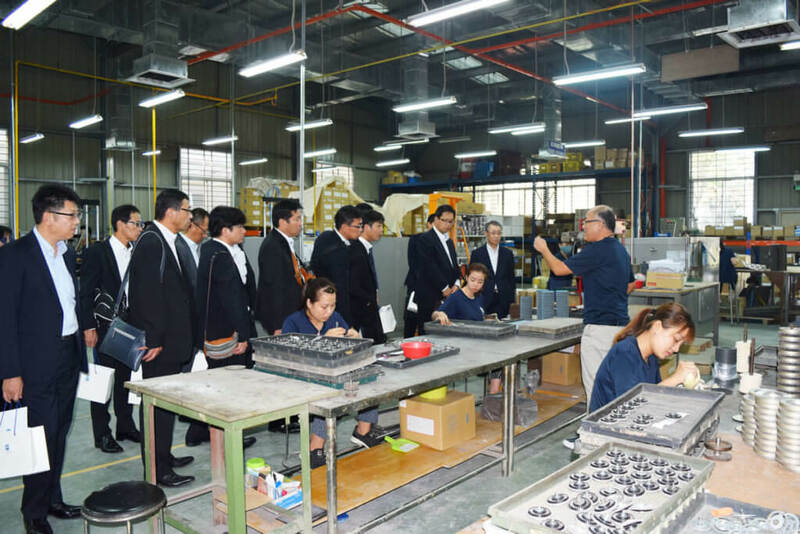 Kizuna Serviced Factory, where many Japanese SMEs chose as an investment destination, was chosen as a site of inspection for them to deepen their understanding of the investment environment in Vietnam. Mr. Tokuoka from Yanase Vietnam (Head Office: Hyogo Prefecture) who is manufacturing the abradant tools at A3 workshop (KZN1) since 2014, showed them around the workshop. Participants seemed to have satisfied by seeing the actual operation and could deepen their understanding about business in Vietnam through the actual voices of Mr. Tokuoka.